You’ve seen it on the red carpet, on your one impossibly cool friend and now front and center on the cover of Vogue. It takes a bit of finessing to pull it off properly. Let’s see how it’s done (and then where to score one for yourself). Yep, it’s the same Repossi ear cuff that Keira Knightley wore to this year’s SAG Awards. You’ve probably noticed the trend in recent months on your favorite red-carpet celebs, like Jennifer Lawrence. But these earrings don’t all have to be clipped up high. Sandra Bullock opted for a low version. Emma Watson went for thin and delicate. And Rashida Jones, for pearls. 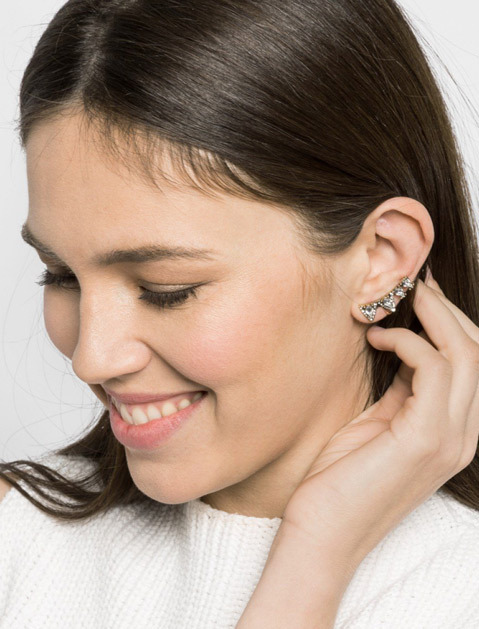 The point is: There are plenty of ways to elegantly pull off the ear-cuff trend.